On 21 and 22 September, Paris will once again become the capital of architecture and design as it plays host to the Architect@Work exhibition; the principal platform for architects and interior designers who take advantage of the event to present their latest creations and to exchange knowledge and ideas. As always, Architect@Work retains its essence with improved facilities designed to guarantee an optimum interaction between exhibitors and visitors. It includes areas to enjoy a drink, and to chat and exchange impressions on the innovative products, applications and services on display. 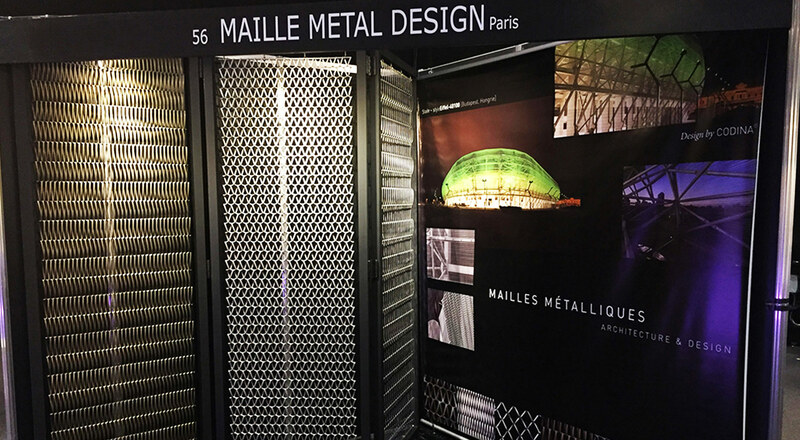 And, of course, Codina, and the company’s French representative Maille Metal Design, will be there to show their latest creations, new products and projects in metal architectural meshes. This year we have the pleasure to present our Mies model in copper; a mesh consisting of spirals and pre-crimped rods and created especially for the Hanasaari Cultural Centre project in Espoo, Finland.